There are rides most Sundays, with levels to suit differing abilities. Rides usually start at 9am Apr-Nov and 9.30am Dec-Mar. Details of the planned rides are available here. In the summer there are typically three rides of differing length and ridden at different speeds. Normally all go in the same general direction. The middle group will often go to the same cafe as the shortest ride, via a more challenging route, so there may be opportunities to switch groups at the cafe (always speak to ride leaders before we set off if you think you may do this). In winter the mileage, and often the number of groups, is reduced. There are sometimes additional rides on other days of the week. Check the upcoming events section on the homepage or facebook group for updates. 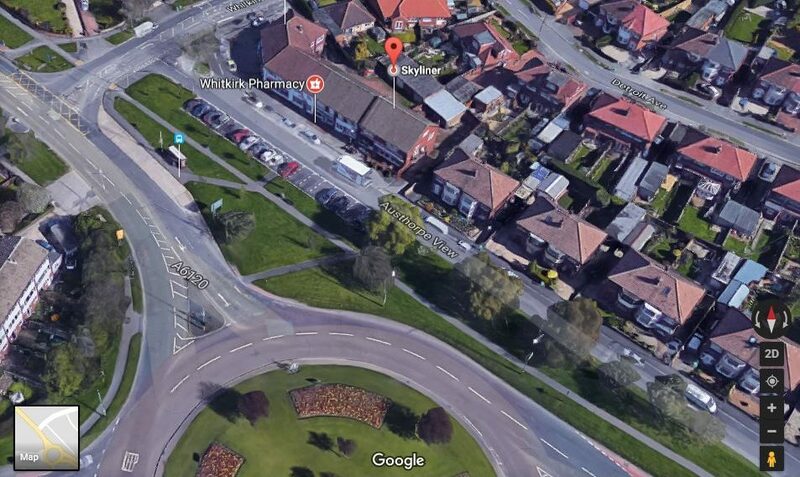 All runs start from the Skyliner Chip Shop, Colton roundabout, Whitkirk, Leeds, West Yorkshire, LS158NN (MAP) unless otherwise stated. Rides generally depart at 9.00am April-November and 9.30am December-March. Meet 10 mins before stated departure time. Click here to see a full list of planned rides from the calendar. Destinations may be altered to suit circumstances on the day. Club rides will not take place in potentially dangerous or inclement weather conditions, if in doubt members can check the home page news ticker or Facebook group for latest info. For further details of any ride contact the rides captain. Additional rides meet on Wednesdays and Saturdays, but not throughout the year. Check the Calendar/Upcoming Events or the facebook group for the latest updates. These usually start from Barwick-in-Elmet. Wednesday evening is for improvers at intermediate levels of ability, confidence and fitness, whereas Saturday mornings are for more experienced and quite fit riders. The aim of these is to improve bunch riding skills and are not a race, particularly the Wednesday ride is also a bit more for riding in company rather than going out solo to get some miles in and generally disciplined in a chain gang format. All runs start from the Maypole by the Gascoigne Arms pub in Barwick-in-Elmet, LS15 4JQ, unless otherwise stated. Meet 10 mins before stated departure time. Road Training Session – loop on reasonably traffic free circuit. 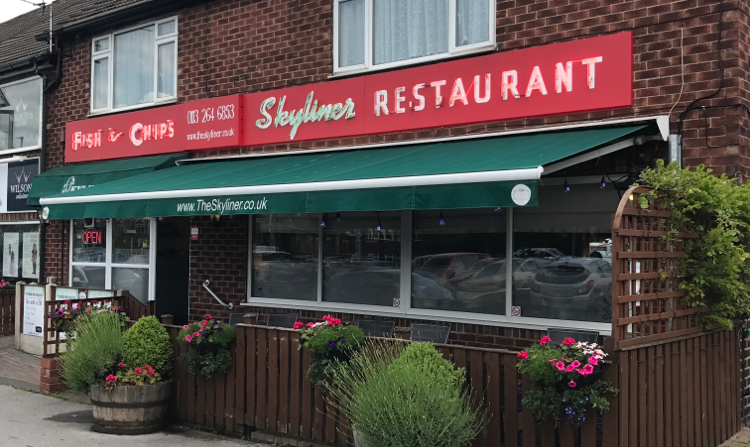 Meet near Brios Restaurant, Thorpe Park, LS15 8GB. The ‘Wednesday Workout’ – circular loop to Cawood and back. Informal medium paced bunch training ride. Flatish terrain for about 35 miles, so about 2 hours of riding. 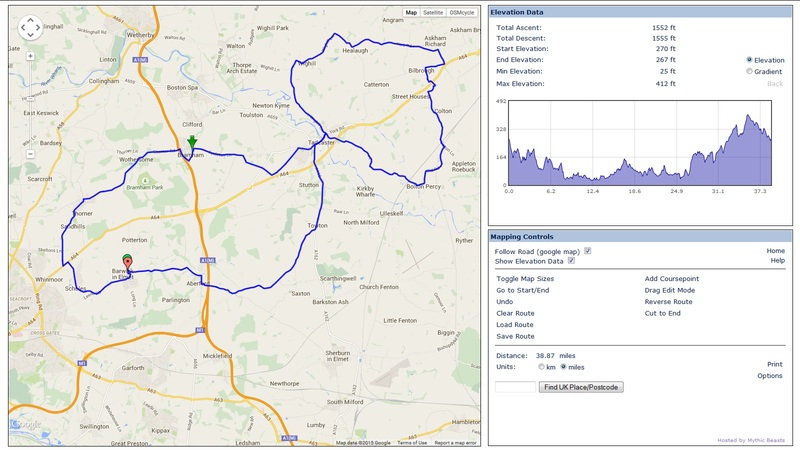 ‘Saturday Training’ – figure of 8 circuit through Tadcaster and Askham Richard. Faster paced bunch training ride. Flatish terrain for about 40 miles. Keeping slick and tight, no racing. 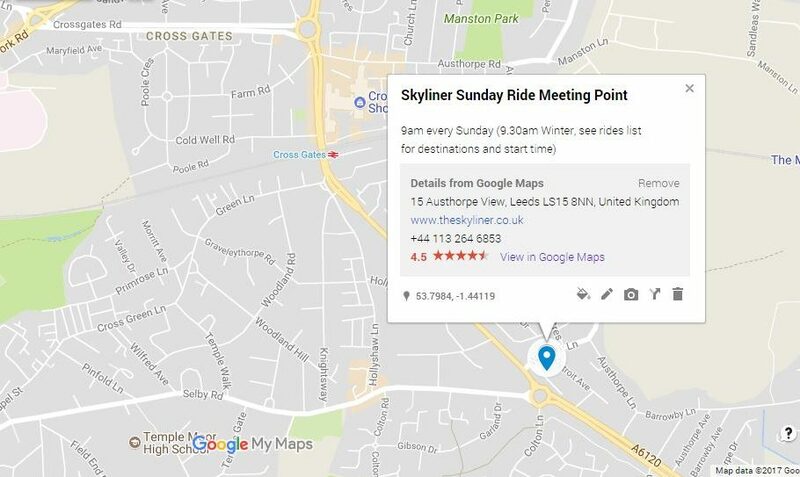 The map above shows the location of the Skyliner (blue bike) and of cafes frequently visited on Sunday rides. Other features of interest can be added to the map by first expanding the side panel by clicking the icon in the top-left corner. Wearing a cycling helmet is mandatory for all riders. Spare inner tube (correct size for the tyres on the bike), ideally two for longer rides. Parental consent form if under 18 is required. Check list of recommended items and equipment for Club Rides. Drinks bottle with water, squash or sports drink, two for longer rides. Please also read our Club Riding Etiquette Guide (see tabs above). Use this to brush up on the road conduct that we endorse and expect people to follow when riding with one of our groups. Members new to cycling may find the Getting Started tab and the British Cycling Ride Smart videos above useful. Note- A road bike or 700C-wheeled hybrid bike, with gears and slick tyres is recommended, mountain bikes with suspension or knobbly tyres are not advised. The purpose of this document is to make the rides safer and more enjoyable for all members. By riding with Seacroft Wheelers you are agreeing to the stipulations below and to riding in a considerate and respectful manner. • All riders must wear a helmet (no helmet, no ride) and carry a basic toolkit including a multi-tool, tyre-levers, spare tube and pump. At least one water bottle, two for longer rides, gloves, lights (where necessary) and weather-appropriate clothing are advised. • Behave in a manner that represents the club in a positive way at all times. • Obey the Highway Code, avoid conflict with other road users and ride with consideration towards others. Riders are responsible for their own safety at all times. Disregard for the Highway Code and behaviour that endangers yourself, other club members or other road users may lead to disciplinary action by the committee. • Riders should carry their membership card, with emergency contact details completed, with them on every ride. • Check your bike before each ride. Check tyres are fully inflated and in good condition, brakes working, chain lubricated, and nothing is loose or about to wear out. • Bring a mobile phone and ensure you have the number of the ride leader(s). • Safety is paramount. Don’t let Strava or keeping up with others encourage you to take risks. • Listen to the ride leader, respect and accept what you are asked to do. If the ride leader deems you to be riding and/or acting in a dangerous or anti-social manner, you will be expected to take the advice given. • If you are not happy with the pace of the group (too fast or too slow), you are welcome to speak with the Ride Leader. They will endeavour to match the groups pace to you, within the speed parameters of that particular ride, Social, Inter or Club. If the pace is too slow and you then ride off the front, the group is not obliged to re-route, chase down or wait for you to return if you don’t stay with the group (discretion will be made for young/inexperienced riders). • Keep tight – no big gaps front to back or side to side. • Ride two abreast maximum where traffic and road conditions permit (this means the width of two riders with a small gap, not one in the gutter and one in the middle of the road). See additional notes below on drafting. • Ride directly behind, or alongside other riders, Look over your shoulder before overtaking, pulling in/out or making any kind of change in direction or line. Pull out in plenty of time if overtaking or turning right. Do not cut corners, especially on faster descents – hold your line relative to the kerb / centreline of road, and be aware of overtaking riders. • Pay attention. Be aware of traffic conditions, upcoming hazards and familiarise yourself with the route (village names, roads signs etc) in case you get separated. Don’t assume that you can ‘switch off’ and chat just because you’re in the middle of the group. • Point out or shout about hazards in the road (potholes etc) to those behind you. • When pulling out of junctions, let riders behind you know if it is safe to do so. Note responsibility still lies with the individual rider to make sure it is safe to proceed. • Everyone’s aim should be to keep the group tidy and together, so remain in the group with the leader wherever possible. Surges in pace and riding off the front will break up the group, dropping those with tired legs. If you find yourself at the front, it is your responsibility to set a suitable pace to keep the group together. If the group does split on a challenging hill or after a busy junction, either ride slowly until the group can reform or find a safe place to stop (without obstructing other traffic). • Waiting for people: see above regarding keeping the group tidy and together; unless otherwise agreed, rides start, continue and finish as a group. No-one gets left behind. So be aware of who is behind you and inform the ride leader if anyone is struggling, is losing contact with the group or has a mechanical. • Tell others if you are struggling or if you have a mechanical. If you hear a call, e.g. hazard, or question, e.g. “which direction?”, pass it on along the group – don’t assume others have heard. • Please inform the ride leader if you intend to leave the group before the end of the ride. • No personal music players to be used during our rides. • Dealing with Accidents and Injuries: The Club does not provide first aid cover or medical support for riders on any rides. In the event of an accident, fellow riders must do all they can to support any injured parties. Call the emergency services if necessary. • If the ride leader considers any participant to be acting in a way that conflicts with any of the above, they are entitled to speak on behalf of the club and request the participant leave the ride. We provide rides for various abilities, experience and preferences. The information below is a guide only – riders must make their own assessment of their abilities and fitness before deciding which group they choose to ride with. Choose the right group for your ability & fitness level, and make sure you can match the quoted ride speeds. Similarly, if you choose a group slower than your ability/fitness, be prepared to ride at the pace of the slowest rider or again the group will not stay together. This is to aid everyone’s enjoyment and group unity. Rides, groups and destinations may be changed at short notice to take account of road conditions, weather forecasts and availability of leaders. • Club Run: for faster members. Distance 70-100 Miles. Up to 1000ft of climbing per 10 miles. Approx 17-19mph average. You may need a recommendation from a ride leader to join this group. Road bike recommended. • Intermediate Group: suits most regular club riders, plus those looking to step up to the Club Run. Distance 50-70 Miles. Up to 1000ft of climbing per 20 miles. 15-16mph average. Road bike recommended. • Social Ride: for those relatively new to club cycling, or wanting an easy ride. 35-50 miles maximum. Fewer climbs and descents generally. Approx 14mph average. Hybrids and road bikes recommended. It is helpful for riders to give warning calls and hand signals to those behind them. This helps smooth group riding and allows riders to ride closer together. • “Slowing” when you are slowing down, i.e. on approaching junctions or other obstacles – can be combined with waving your right arm up and down slowly. • “Stopping” when you and other riders need to brake. This prevents you taking the rider behind you by surprise. • At junctions, “Clear” means the road is clear, “watch your left/right” means the immediate junction is clear but there is some approaching traffic, “car (etc) left/right” or “wait” means it is not safe to pull out. Again, note responsibility still lies with the individual rider to make sure it is safe to proceed. • For other specific hazards: “gravel”; “(pot)hole”; “cattle grid”; “oil” etc. • “Standing” when you are about to get out of your saddle to climb, as you may slow down while doing so. Don’t let your rear wheel drop back as you stand. • “Single Out” when riding two abreast to revert to riding in single file. The rider on the outside falls back into line. • “Easy” when a rider has seen something that may be dangerous. A sharp bend, slippery surface or traffic bottleneck would be examples of when a call would be useful. • “Knock a Mile off / Mile off” reduce the pace of the ride by ~1 mph. DO NOT slow significantly, as this causes bunching behind. • “Off the back” a rider/riders have been dropped, slow down to allow them to catch back up. • “On your outside” as above but approaching / overtaking on their right. • “Below” used to indicate there is a pothole/obstacle coming up. Sometimes used in lieu of hand signals if both hands are needed on the bars at that time. • “Patting” motion with right hand, up & down with palm facing down, to indicate you are slowing. • A right Elbow flick is the traditional way to indicate you would like a rider behind to take over the lead of the group. • Front and rear lights are compulsory at night and on dark rides. If the ride is in dull conditions lights are recommended. A rear flashing led light is worth having on all but the sunniest rides. • If the ride is likely to be wet, it is good practise to have mudguards fitted to prevent spray from your rear wheel going over the rider behind you. If this is happening because you do not have mudguards you may be asked to ride at the back of the group. Simple clip-on mudguards are easy to fit and relatively inexpensive. It is expected that you will have full length mudguards, with a rear mud flap, fitted during Winter/Spring when the conditions require it. • In the dark, when the roads are wet, or whenever grip or visibility are compromised, we will reduce our speed accordingly. • Drafting is an effective way to save energy and share the workload among a group of riders. • Riders should ride directly side by side or in a single line, directly behind the riders or rider in front. • Never overlap wheels with the rider ahead ie your front wheel overlapping a rider in fronts rear wheel as any sudden movement by either rider could bring you both down. Leave about a 6inch gap. • The lead rider is the ‘eyes’ of the group, and should alert the riders behind to approaching hazards i.e. potholes and traffic. • The lead rider should take a smooth line around hazards to allow others to follow the line safely. • When the lead rider(s) have done their turn, they should wave the next rider(s) through or shout ‘turn’. This could happen in the same way the lead is swapped in a Chain Gang (see below) or a new rider(s) may safely pass the group and take position at the head of it. When taking over a turn at the front DO NOT increase the pace of the group and make sure the group remains together during the transition. • It is important that the lead rider(s) maintain a steady speed & effort (with allowance for alterations in terrain) and takes care not to break the group up with surges of acceleration. (also known as “half wheeling”, maintain an even pace and stay level with the person next to you. Do not constantly up the pace whenever a rider draws level to you). • The rider at the rear is the ‘ears’ of the group, and should alert the riders ahead of traffic approaching from behind. • It is legal to ride two abreast where the road/conditions allow, but never more than two. • Riding two abreast allows the group to be more compact and actually makes it easier for cars to overtake. • When ‘single-out’ is called, you must revert to riding in single file. The rider on the outside falls back into line. • If the inside rider needs to change course (potholes, parked cars) please say ‘out’ to the other rider to let them know to move out. • When the two front riders have completed their turn, they should slow and let two other riders come through to the front. The purpose of the chain gang is both as a training tool and to maximise the shelter to the group from the prevailing wind with each rider taking an equal share of the work. Unlike the typical Sunday ride formation of two lines of riders, changing position on an ad-hoc basis, in the chain gang your position in the group formation is in constant motion. So this requires 100% concentration all the time ? to avoid clipping wheels and collisions. The chain gang will be employed depending on the wind/road conditions and sometimes just for a change/ bit of fun as it’s also a good way to practice close group riding skills. If you don’t feel confident in riding in this formation then feel free to sit on the back of the group without taking turns to observe how it works. The signal for changing to chain gang formation could be verbally or a raised arm, pointed finger and a circular hand motion, in the intended direction of rotation of the chain. • Two parallel lines of riders in close formation. One faster line sheltered from the wind (by the slower line) will be the pace setting line… line 1. The slower line we will call the recovery line… line 2. • As each rider gets to the front of the pace line they move over to the recovery line and similarly when you get to the back of the recovery line you move over and join the back of the pace line. The pace line travelling faster than the recovery line creates a circular motion of the group. The length of time each rider spends on the front of the pace line can be dictated by the weather/road conditions and size of the group and can range from a few seconds up to a minute or two depending on the group dynamic that day. • The chain goes clockwise or anti-clockwise depending on wind direction, to give shelter to the faster line. • When you change lines you change your speed – slowing down (by about 1-2mph) once you’ve moved over from the pace to the recovery line and you accelerate by the same amount in order to rejoin the back of the pace setting line. • Basically the pace line will be moving forward and the recovery line will be moving backward in relation to each other. 2. Don’t increase pace or accelerate, just ride through maintaining the pace of the line you are in. Increasing the pace at the front is strictly a no-no – all it achieves is disruption. 3. Ease off at the front when you have changed from the faster line 1 to the slower line 2 – don’t brake – just take the pressure off the pedals slightly and continue to soft pedal. The next rider coming through in front of you should not need to increase pace in order to come past you! If you ease off too much the rider behind will have to take corrective action and maybe brake sharply, also the rider at the back of the line will have to accelerate hard to get back into line 1… so just ease off slightly. 4. Do not accelerate through… the only acceleration is at the back of the line from line 2 back into line 1. Do not surge at the front. 5. When you are about to rejoin the pace setting line, line 1, the last rider in the pace setting line should call “last man” as he is about to pass the last rider in the recovery line. This prepares the rider to start moving across into the pace line, and get onto the wheel of the previous rider by accelerating slightly. 6. 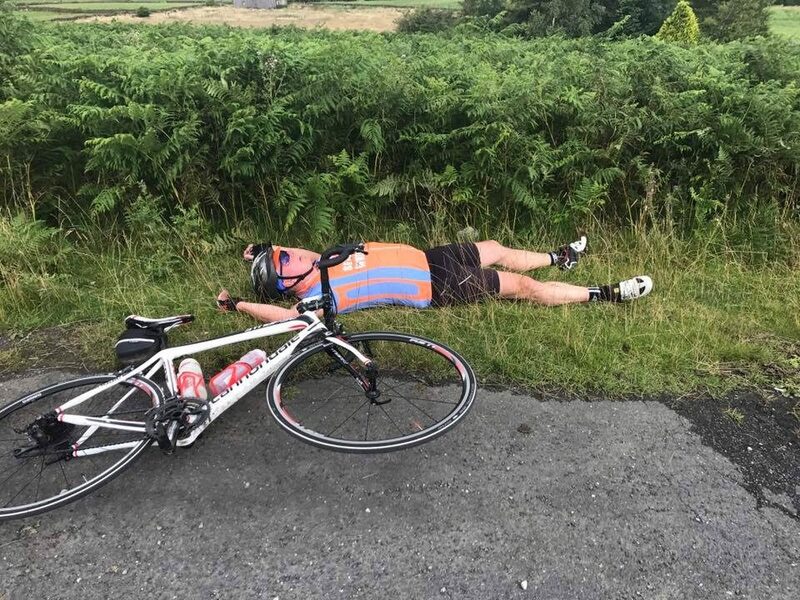 Don’t fall asleep at the back – if you miss the last rider and have to jump lanes and accelerate to close the gap, then everyone behind you will also be making a needless effort – and you’ll end up having to buy the coffees at the end of the ride! 7. If this sounds complicated – it actually isn’t. It’s great fun, and if you put this advice into action you’ll soon be working like a pro in the chain-gang. 8. Generally, a chain gang or a pace-line will ride at a constant effort – rather than a constant speed. If you’re the rider going through at the front, don’t try and maintain speed up a hill – just maintain the effort. If you’re unable to go through and intend to sit at the back of the group to recover, then inform the other riders. Warn the other riders if you intend to rejoin the chain after sitting off the back. Whichever line you’re in, don’t allow a gap to open in front of you – be on a wheel at all times. DO concentrate 100% of the time. DON’T DO ANYTHING SUDDENLY ! – in other words be totally predictable. Don’t brake heavily or make sudden changes in direction etc. Potholes/road hazards:- Lead riders should warn of any pot holes etc, any warnings should be passed on down the line. A gentle line should be taken around potholes, rather than a quick switch. Note:- Not everything in this document will happen all the time, every time, but this is what we are aiming for as a club and as a group that rides together :-). Even Chris Froome had to start somewhere. Many who are keen to take up a sport or a more healthy lifestyle regard club cycling as somewhat cliquey and intimidating for beginners. It’s true that cycling has an irresistible culture all of its own but most clubs are keen to welcome new faces and most cyclists are friendly and ready to share their experience. The most difficult part is getting started: how fit do I have to be? what sort of bike do I need? what should I wear? how far and how fast will I need to be able to ride? what’s a sprocket? Let’s try and give a few answers. Without doubt the most problematic aspect for many newcomers is fitness. Fitness is very specific to the activity concerned and if you are not used to riding a bike reasonable distances then you might find the first few rides somewhat challenging. But if you’re looking for an easy life then join a golf club or get back on the couch ;). So many are attracted to cycling but give up after just a couple of outings thinking they don’t have the ability. It just seems that it is all hard work and no enjoyment not realising that this is a temporary short-lived hurdle. Cycling is never an easy sport but the good news is that the body adapts very quickly and with regular riding fitness gains can be dramatic and what once seemed almost impossible becomes a ride in the park. Most cyclists are just like you, except they have been riding for longer, so don’t give up before the fun bit starts. For the less confident the best way to start may be to ride on your own or with similar friends and slowly build up your speed and distance before joining a club ride. As a rough guide a club Social Ride or Invitation ride will be 30-40 miles at 12-14mph, but with the pace adjusted to the slowest rider and of course including a welcome café stop. 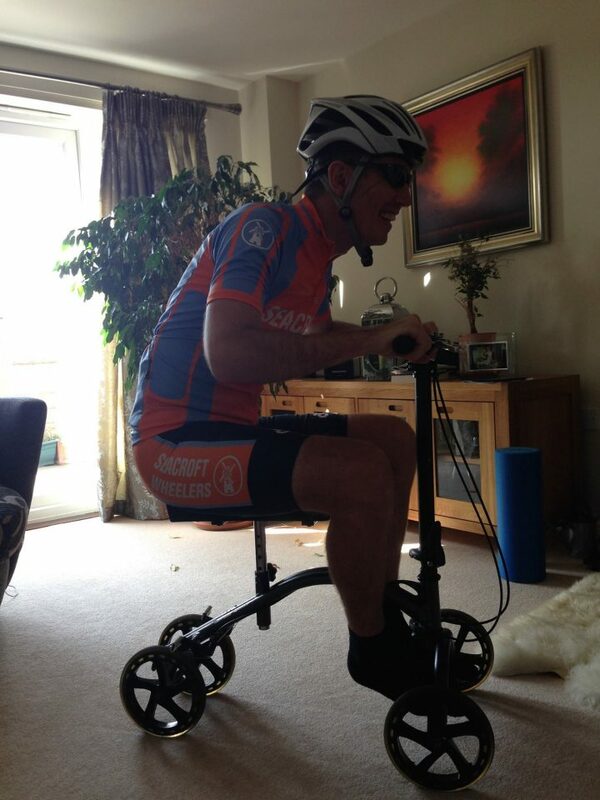 A normal lnter/Clubrun averages 15mph+ doing from 50 to 60+ miles winter to summer but again nobody gets left behind. You don’t need an expensive bike to start with, you can join an invitation ride or club ride on any roadworthy road bike. The most important thing is that it is well maintained and adjusted and you are comfortable riding it. Road bikes are the best option but hybrids and mountain bikes with well-inflated smooth tyres can work if you don’t immediately have access to a road bike. However knobbly tyres and suspension will make things much more difficult and are not advisable on any club rides. Clip less* pedals or some form of toe clips and straps are pretty much essential to aid pedaling efficiency. Mudguards are not necessary all year round, however they are necessary in winter, or when the conditions dictate. You must carry a means of puncture repair, ideally a spare inner-tube or two, a pump and tyre levers. If you do catch the cycling bug and wish to upgrade later then you’ll find club mates will be more than happy to chat about sprockets and other equipment. Right, I’m ready but what to wear? Again, there is no need to start off with the latest lycra fashions and Gortex tops but a quality pair of padded cycling shorts pays dividends. Mostly it is common sense, dress for comfort and the expected weather conditions. The art is in keeping comfortably warm while avoiding excessive perspiration; what seems like a cold day can quickly warm up once you get riding. A number of layers on top are preferable to one thick jacket and it is advisable to carry a waterproof option of some sort. A top layer providing some wind protection and hat and gloves are a good idea in winter. A helmet is mandatory on all club rides. Footwear depends on your pedal system, riders with clip less pedals will have compatible cycling shoes. Trainers with a grippy sole can be used with toe clips and straps or open pedals, however this is one area where an upgrade does bring immediate benefits. Food is another topic worth considering. Some of the effects of tiredness are simply down to inadequate food and drink intake. As well as topping up at the café stop it is a good idea to frequently snack on carbohydrates whilst riding, keep a couple of energy bars in the back pocket, cereal or fruit bars, fig rolls or malt loaf are just as good. Carry and use a drinks bottle(s) all year round. Water is fine if you are also eating. There are also many sports energy drinks and gels on the market. Don’t worry too much about group riding etiquette to start with, this is soon picked up on a ride. Basically the group rides in a line two abreast (where the road/conditions allow), ride behind the wheel in front but not too close and a little to the side to give a good view and room for manoeuvre. Riders in front will shout or point out directions or any road hazards like parked cars, potholes or broken glass. On some narrower roads, or if cars behind need to pass, the group will form into a single line. Stronger riders take turns at the front of the group helping to shield those behind from the wind. Riding in the middle or back of the group can be up to 40% easier than at the front or riding on your own. 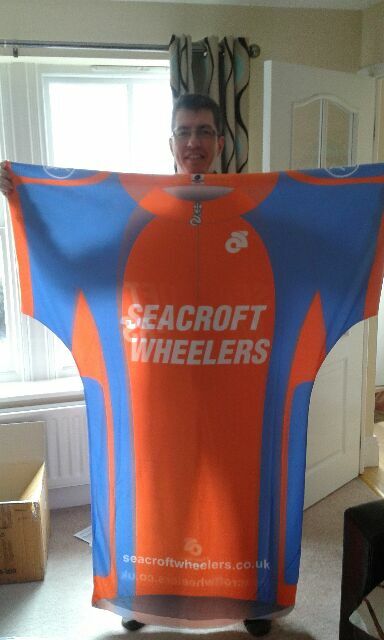 Seacroft Wheelers understand and cater for newcomers to cycling. Whatever your ambitions…an Olympic medal or just a more healthy lifestyle, we’re a good place to start. *An integrated pedal and shoe system not to be confused with ordinary flat cycle pedals. More info. on skills and techniques can be found here. Please note on all Seacroft Wheelers rides (in line with British Cycling guidelines) all under 16s must be accompanied by a responsible adult and under 18s must supply a signed Parental Consent Form.